Minister for Agriculture, Food & the Marine, Michael Creed TD today, Friday, 9th November, launched a new joint farm development programme between Dairygold Co-op and Teagasc aimed at providing the Society’s Members with the best and most up to date information to maximise their profitability and sustainability at farm-level. Dairygold and Teagasc’s Joint Programme, which runs to 2021, follows on from the success of the previous programme that saw over 8,500 people attend Public & Special Interest Events held over the three-year period up to 2017. The programme represents a €1 million investment which brings the total amount invested by the Co-Op in knowledge transfer events to €7 million since its collaboration with Teagasc began in 1993. 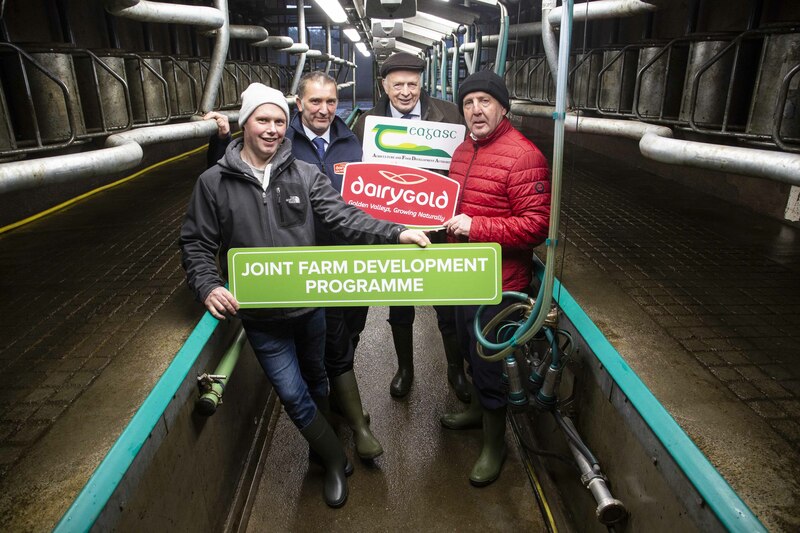 This new joint programme continues to keep sustainable milk production at its core and will promote the adoption of sustainable and resilient dairy systems by Dairygold suppliers. The programme will also focus specifically on labour efficiency, Leanfarm practices, biodiversity, water quality, herd health with an increased collaboration with Munster AI, while harnessing the use of technology across the milking enterprise. A number of key performance indicators have been set to ensure the programme meets its objectives. Among those measured are; soil fertility improvements, grass utilisation, EBI increase, carbon footprint reduction, milk solids increase, financial management improvements and milk quality scorecard gains.